Parody of horror movies and TV soap operas. This film is definitely not to be taken seriously. It is well and truly a parody and completely over the top, in terms of plot and acting. Every character resembles a stereotype from the horror and soap opera genres. 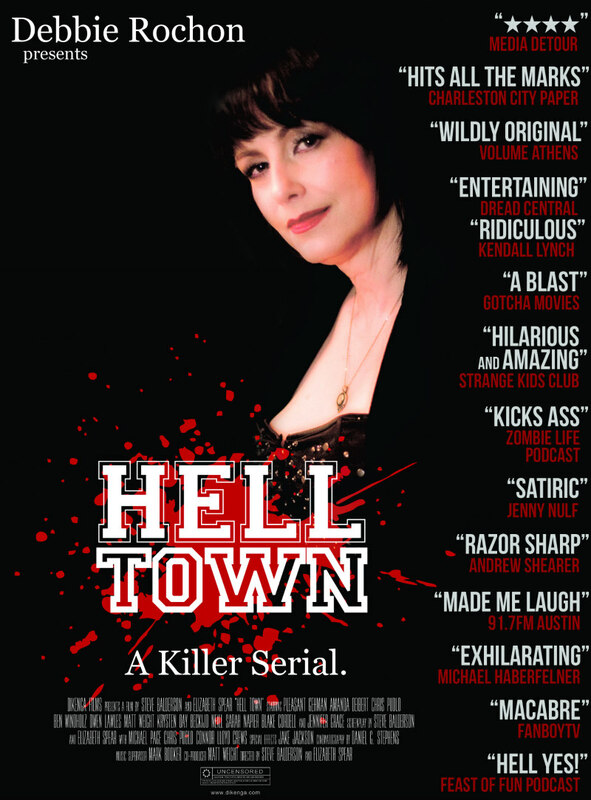 Hell Town is a horror comedy spoof set out like a soap opera, directed by Steve Balderson and Elizabeth Spear. The film is essentially three episodes of a TV show, of which the rest of the series was lost in a fire. What we see here are episodes seven, eight and nine of season two, which sounds like it could be disjointing to watch but there is actually enough backstory for these episodes to stand on their own. The story is a WhoDunnit plot which centres on two families who live in the same town, the Gable and Manly families. 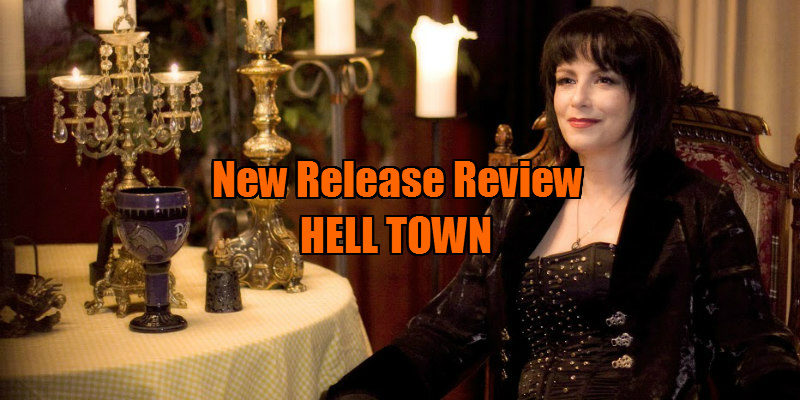 Like a classic Soap Opera, Hell Town has a large ensemble cast, but some episodes focus more on certain characters. In these episodes we see a big focus on Trish Gable (Krysten Day), the stereotypical prom queen type; it turns out every man that Trish is seen interacting with is killed off by the Letter Jacket Killer. First of all, this film is definitely not to be taken seriously. It is well and truly a parody and completely over the top, in terms of plot and acting. Every character resembles a stereotype from the horror and soap opera genres and there are subplots that we see in a lot of soaps – love triangles, in the closet homosexuality and family feuds. Because of the film's parody element, none of the characters are likeable, which is obviously intentional, but I feel like some people watching it might not take the film the way it was intended because there are no characters for them to root for. What I do like is the inventive killings that the Letter Jacket Killer performs, and the effects are pretty good for a low-budget horror. I wouldn’t have thought a film would work in this way of separating it into three episodes, but Debbie Rochon plays host in true Elvira style, which really does make the flow of the film a lot easier to work with. The film toys with us throughout and gives us a lot of red herrings as to who the killer could be, and I’ve got to be honest, it gave that many that by the end of the film I had no idea who the killer would be. I didn’t find myself laughing all that much throughout the film but I can appreciate that a lot of people will; it’s very tongue-in-cheek and doesn’t take itself seriously, so it is great for someone who just wants to sit down and zone out from reality for 90 minutes, but if you’re looking for something with a bit more substance, this probably won’t be your sort of film. Hell Town is on VOD August 23rd.